Question: How do I make the transition easy for my seven month old to move out of the bassinet in our room to the cot in her own room? I have tried to put her in the cot in her own room for day sleep during the past week with little success. She goes to sleep in the bassinet not trouble but doesn't do so in the cot. I have little choice but to upgrade her to the cot as she is getting too big for the tiny bassinet. Nicole's Answer: Moving from the bassinet to a cot is just one of the big steps that parents face with babies. Most babies outgrow the bassinet in the first few months of life. Once you know that the transition is near, and usually it is because they outgrow the bassinet then I have a number of tips to help. Firstly, actually take the place that your baby sleeps in – the bassinet into their new room. Not only that but actually place the bassinet inside the cot as the first step in the transition. The reason being is that the bassinet - its feel, cosiness, look, smell are all cues in your baby’s brain of how they go to sleep. By changing the room alone, you have changed the second set of cues that your baby has of how they go to sleep, so what is outside the bassinet, the light, the sounds etc of the room. So lets just keep the first set the same – the bassinet and just change the secondary set – the room. After about a week of sleeping in the bassinet inside the cot then simply take the bassinet out of the cot and sleep baby in the same direction, with the same clothing, sleeping bag, wrap etc as you used in the bassinet. So be sure not to spin your baby around at this stage in a different direction as she is still cementing the cues of the new room. Secondly, If you havn’t been using music I would also introduce some quiet relaxing music when you first move the bassinet, this is called pairing, so you have a secondary cue for sleep. Pair it in – by playing it when your baby still sleeps in the basinet in her cot, in her new room. And continue this cue once you take the bassinet out of the picture all together. 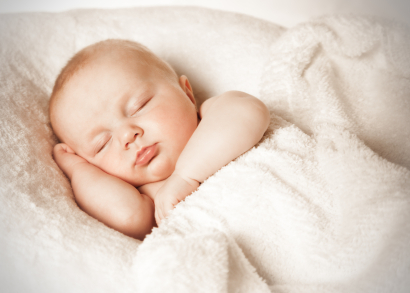 If your baby has difficulties sleeping it is unlikely to last more than a week or two if you stay consistent. Try and stay positive yourself, once you move forward in a month or so there will certainly be no difference in your baby’s sleep. Also if your baby is outgrowing the bassinett rather quickly you may have to shorten the amount of time of each of these steps.